4x4, Power Seat, Heated Seats, Tow Package, Bluetooth!!! 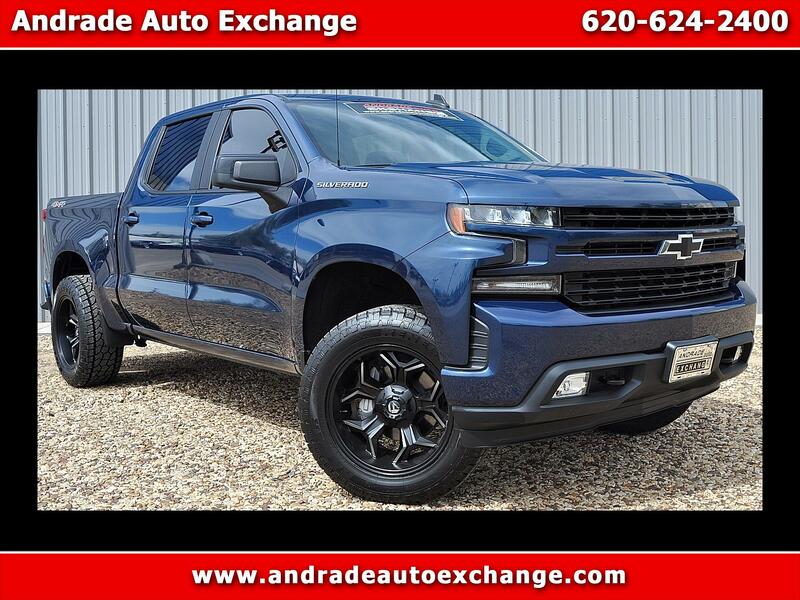 Everything you need and more, our 2019 Chevrolet Silverado 1500 RST Crew Cab 4X4 is outstanding in Northstar Blue Metallic! Powered by a potent 5.3 Liter EcoTec3 V8 that offers 355hp while mated to an 8 Speed Automatic transmission with tow/haul mode. Get your job done with ease in this Four Wheel Drive Crew Cab and scoring near 23mpg on the highway! Examine our photos and take note of the bold grille, chrome accents, prominent wheels, bed liner, running boards, and high-strength steel bed of our Silverado 1500. Inside this dedicated LT, you'll appreciate the quiet ride and thoughtfully designed cabin. Convenience features include remote keyless entry, a rearview camera, power accessories, and a driver information center. It's easy to stay in touch thanks to Chevrolet MyLink radio with voice activation, a color touchscreen, CD/MP3, Bluetooth, available satellite radio, Android Auto/Apple CarPlay capability, and OnStar with available WiFi. Our Chevrolet takes care of you with Stabilitrak, 4-wheel ABS, daytime running lamps, and plenty of airbags. Whether conquering your work day or playing on the weekend, this Silverado 1500 is a fantastic choice for your transportation needs! Print this page and call us Now... We Know You Will Enjoy Your Test Drive Towards Ownership!